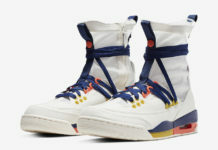 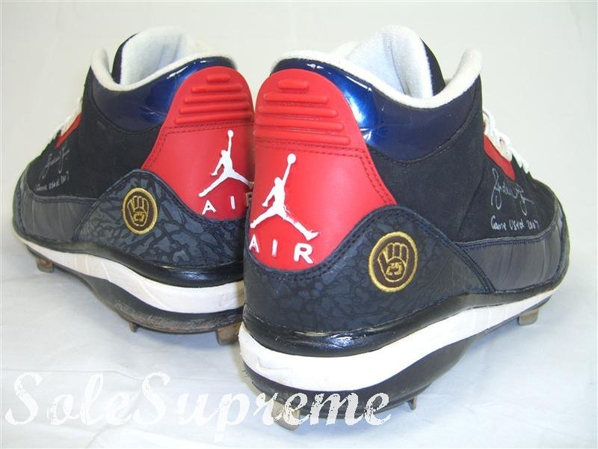 Air Jordans designed especially for athletes have become easier and easier to find, although they cost a pretty penny, but MLB Player Exclusives aren’t as plentiful compared those made for NBA players. 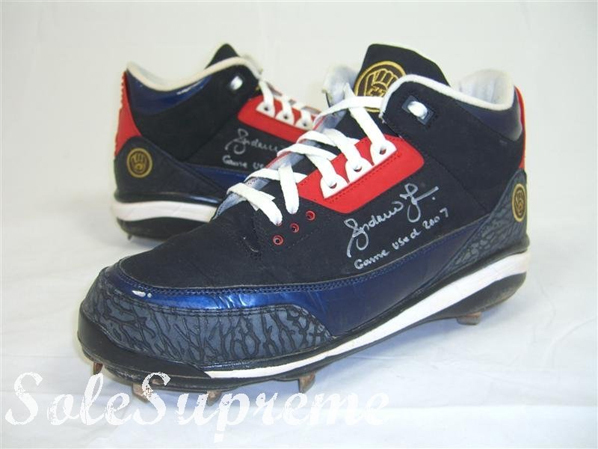 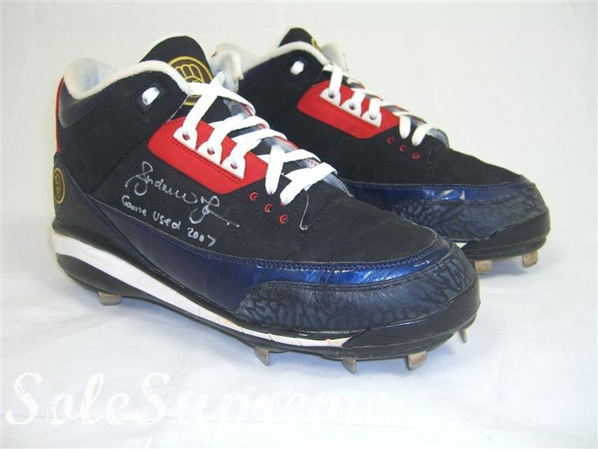 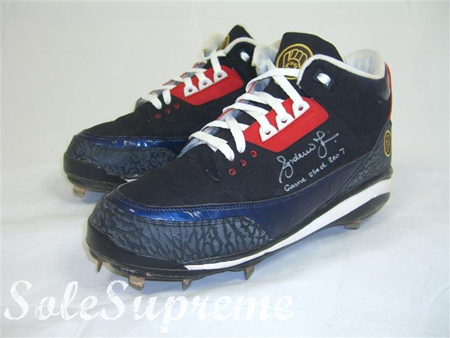 The Air jordan III (3) seen above was designed for Andruw Jones when he was apart of the Atlanta Braves. 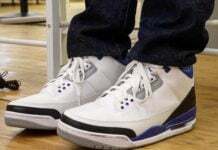 The sneakers still can be distinguished as the Air Jordan (3), but the spikes on the bottom isn’t the typical Air Jordan III feature. 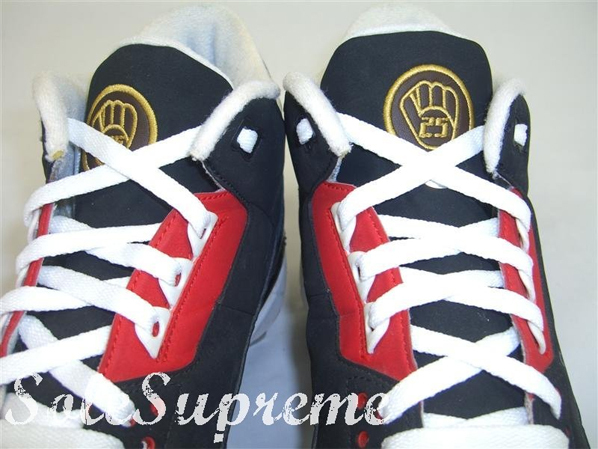 However, the color-way does catch the eye using a color scheme of black, white and red with an elephant print toe. 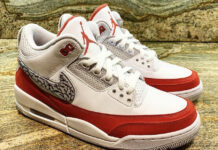 What seals the deal on these Air Jordan IIIs is that they are game-worn samples and autographed. 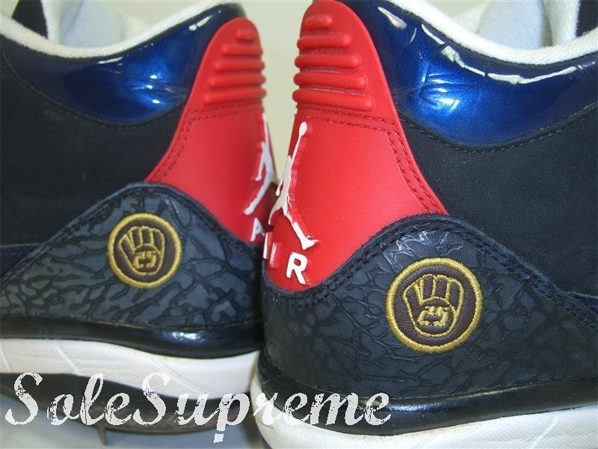 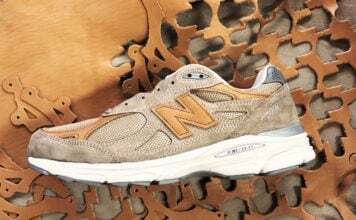 You may not see these in the marketplace for awhile, so get them now here.